Transforming the everyday in a special way. 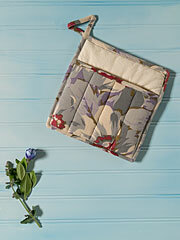 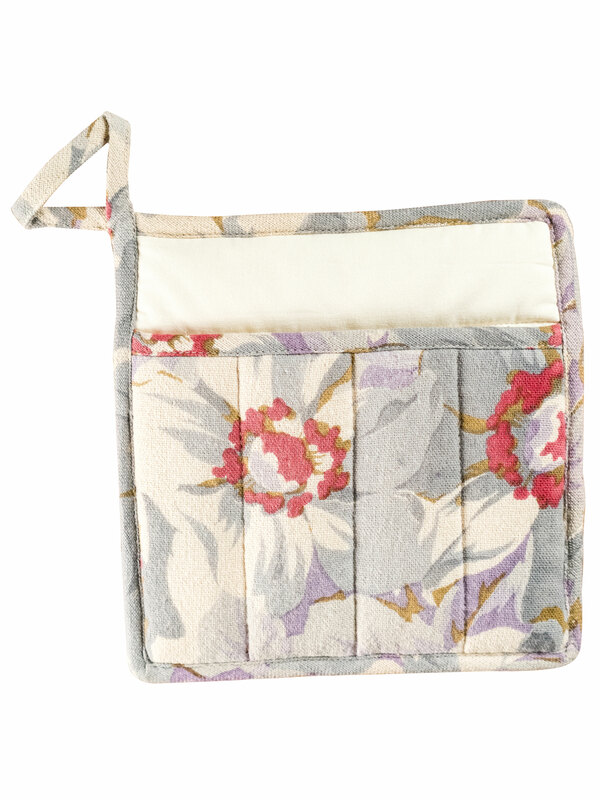 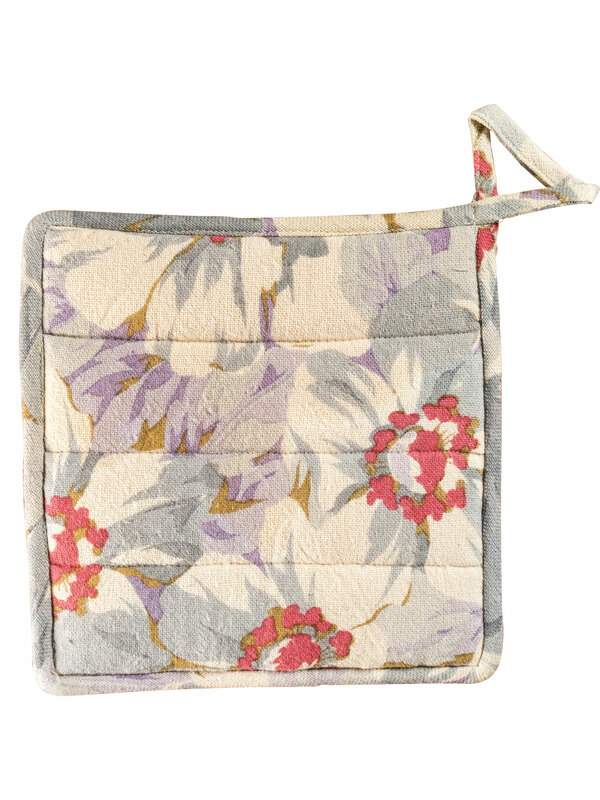 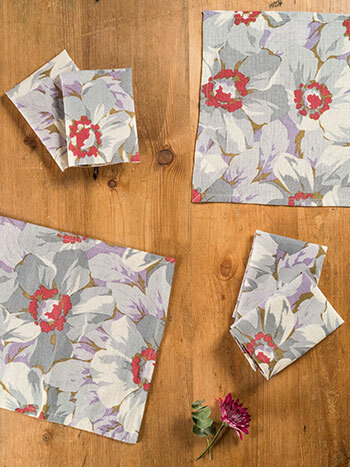 Pretty printed potholder for the woman who (almost!) has it all. 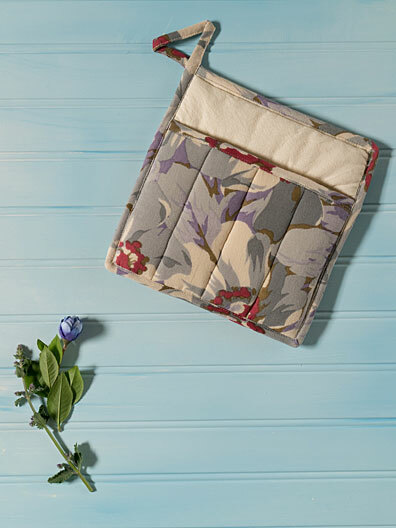 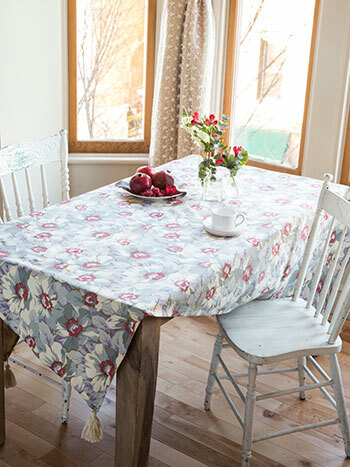 Made in 100% quilted cotton with a complementary fabric trim.